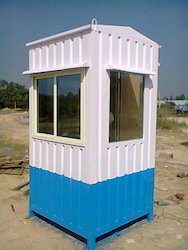 Our product range includes a wide range of modular security cabin, portable security cabin, prefabricated security cabin and color coated security cabin. Backed by the well-equipped infrastructural facilities and experienced personnel, our company has emerged as one of the well-established name occupied in the offering of Modular Security Cabin. 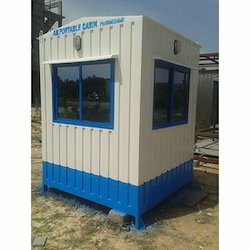 These Cabins are a good option for security purpose in remote areas where high security is required. By focusing on various demands of our respected clients spread all over the country, we are offering an exclusive range of Portable Security Cabin. 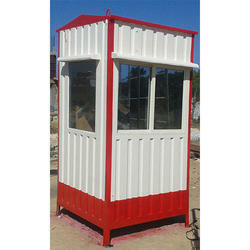 Backed by enormous experience in this domain, we are engaged in offering a wide range of Prefabricated Security Cabin. We have garnered a niche for ourselves in this domain by offering an exclusive array of Color Coated Security Cabin. Looking for Security Cabin ?